← I chatted with artist Michael Brennan for Zyzzyva. 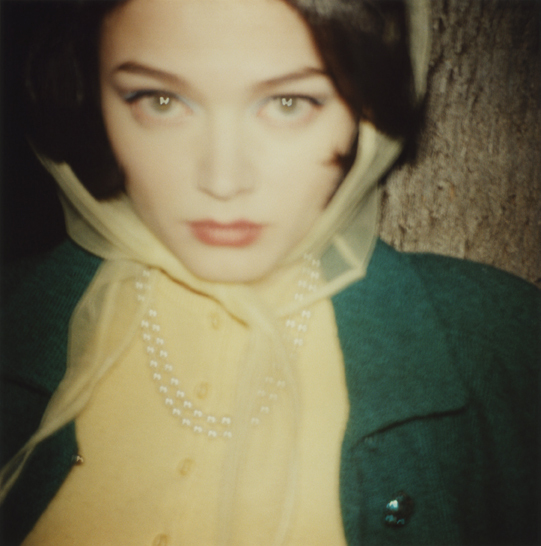 The press release for Todd Hido’s recent exhibit Excerpts from Silver Meadows describes it as a “metaphorical reckoning with his own past,” and indeed many of images look as they might in memory or old polaroids: blurry, the colors faded or over-saturated or yellowing, and darkening towards the edges. Hido even sets up many of the shots to replicate how these scenes would have been experienced in the most mundane moments, shooting houses from the vantage point of the driveway, or perhaps the neighbor’s driveway, through frosted, clouded, or rain-spattered car windows. He manages to find rich colors in scenes most would dismiss as “gray”: snow might have a rosy tone, an overcast sky edges toward purple. His outdoor scenes comprise a sort of anti-Kinkadian vision of the midwestern Anytown — their very imperfections, both haphazard and contrived, create an atmosphere that has mood without nostalgic sentimentality, darkly beautiful and quiet and grim. This entry was posted in ART, photography, REVIEWS, San Francisco and tagged ART, art photography, photography, San Francisco, Stephen Wirtz Gallery, Todd Hido. Bookmark the permalink.